FORMER Warriors captain Tinashe Nengomasha and African great Samuel Eto’o are working with Castle lager in a programme that will see 10 football fans attending the FIFA World Cup finals in Moscow, Russia. Nengomasha will be the local brand ambassador while Eto’o will play the same role at continental level. “The first package offers 2 all-expenses paid tickets to consumers who will win a competition we are launching today. 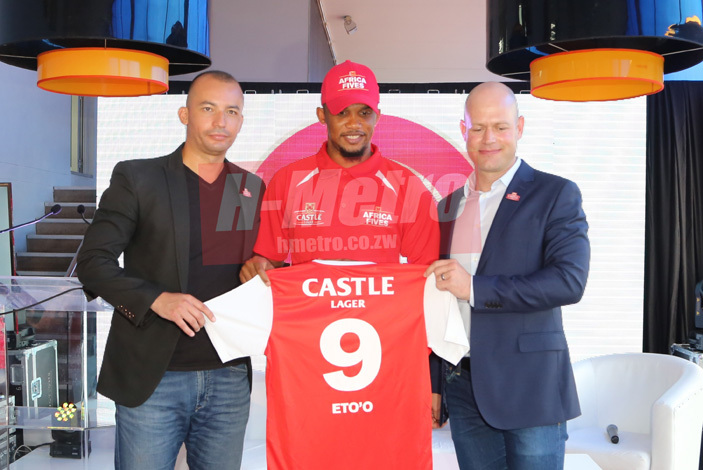 Consumers need to purchase limited edition Castle Lager bottles, to stand a chance to win trips in a draw to be conducted at the end of May 2018,” said Castle Lager brand manager Stanley Meck. 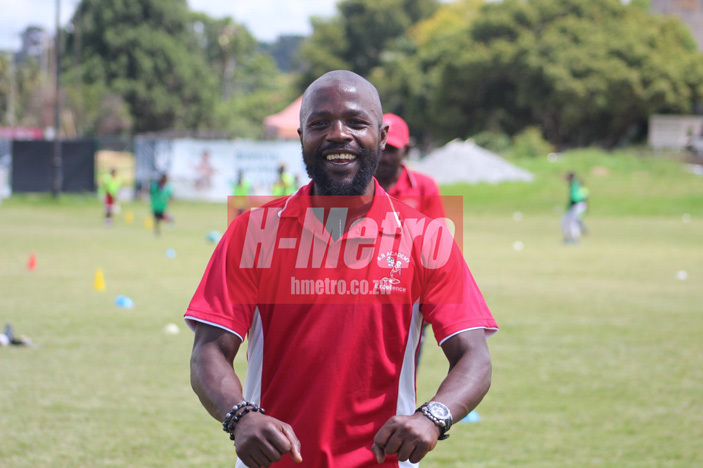 “In the second category, excitingly, for those inclined towards playing football, we are rolling out a nation-wide series of community based 5-aside games that will operate on a knock-out basis, culminating into a final team emerging as Zimbabwe champions. Whilst Nengomasha will be representing Zimbabwe, other countries in the 5 aside competition also have their own brand ambassadors. Lesotho will have Lehlohonolo Seema, Christopher Katongo will be for Zambia, Swaziland will have Siza Dlamini, Brian Baloyi for South Africa and Tanzania will be represented by Ivo Mapunda. The Castle brand has for a longtime been associated with football in the country and they are also currently the PSL official sponsors. “The brand remains the largest sponsor of football in the country with a fund of over $1,250,000 spread between direct sponsorship, media and communications and consumer facing promotions this year alone,” said the company in a statement. “Our view remains that Castle Lager and football share a passion for bringing friends together, and our partnership with FIFA builds on our strong relationship with the Premier Soccer League. It is all about bringing Zimbabweans together in an atmosphere of fun and friendship”.